Ray Jivoff. Photo courtesy of the Skylight Music Theatre. Milwaukee, Wis. (March 28, 2017) – Executive Director Jack R. Lemmon today announced that Ray Jivoff has been named Skylight Music Theatre‘s new artistic director. Jivoff has been serving as interim artistic director since July 31, 2016. He joined the Skylight staff as Education Director in 1999. He became Skylight’s associate artistic director in 2009. Jivoff’s first show with Skylight as an actor was in 1990 when he performed in Girl Crazy. He recently marked his 25th mainstage role as Albin in La Cage Aux Folles. As a director, Jivoff has directed three shows at Skylight: Hair, Jacques Brel is Alive and Well and Living in Paris and Sing Me A Story, Tell Me A Song. He has also worked as an actor and director at numerous other area theatres. Skylight Music Theatre held a Season Announcement event this evening announcing the 2017-18 Season and Jivoff’s new position. 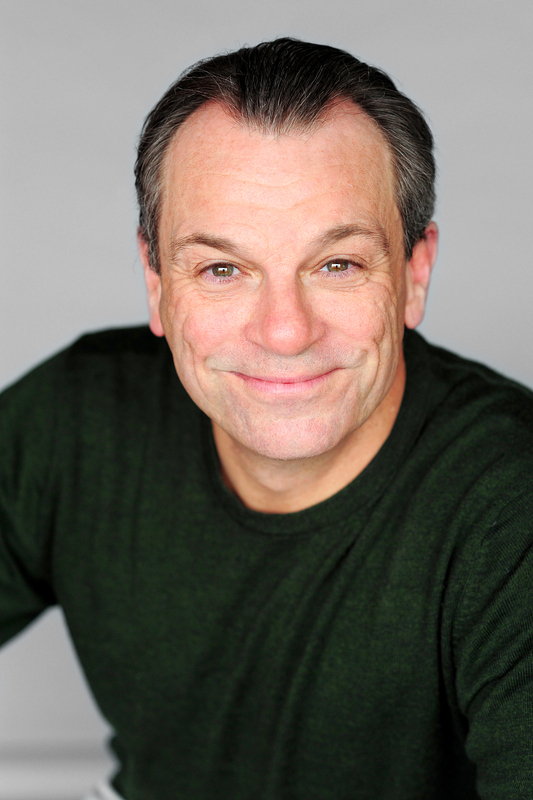 Ray Jivoff has been active in the Milwaukee theatre community as an actor, teacher and director since moving here in 1988. He received both a BA in Theatre and his teacher’s credential in secondary education from San Francisco State University.He was hired as the first Education Director at the Skylight Music Theatre in 1999. Major projects there include two touring shows, The Standard Songbook and KidsWrites, the MPS partner school initiative, the Stories that Sing and Musical Theatre in-school residencies, TeenWrites, an original musical theatre piece written, composed and performed by High School students and The High School Musical Celebration. He now serves as the Artistic Director at Skylight. He made his Skylight acting debut in 1990 in Girl Crazy. Other roles over the years include Harpo in The Cocoanuts, A Day in Hollywood/A Night in the Ukraine and Animal Crackers, Koko and The Mikado in The Mikado, Voltaire/Pangloss in Candide, Nathan Detroit in Guys and Dolls, Bellomy in The Fantasticks, Amos in Chicago, Mr Zero in Adding Machine, a musical, Sir Joseph Porter in HMS Pinafore and Major General Stanley in Pirates of Penzance. This year, he appeared as Albin in La Cage Aux Folles. He has performed in numerous shows at First Stage Milwaukee including Honk, The Mouse and the Motorcycle, Bambi, James and the Giant Peach, Lyle, Lyle Crocodile and Caddie Woodlawn. At Milwaukee Rep, he appeared in A Christmas Carol at the Pabst, Assassins in the Powerhouse and My Way and That’s Amore in the Stackner Cabaret. Jivoff was the theatre director at Catholic Memorial High School in Waukesha for twelve years, directing over 20 productions including Our Town, A Midsummer Nights Dream, Twelfth Night, As You Like It, I Remember Mama, Godspell, 11 KidsWrites shows and four student written productions. For eight years he directed the Next Actors Summer Theatre for Youth, a developmental musical theatre project for High School students at Next Act Theatre. He has directed at many schools and colleges in the area. This includes West Side Story at UW Milwaukee, Hair at Carroll College, Anything Goes, Little Shop of Horrors, Snoopy, the Musical, Alice in Wonderland and Into the Woods at Marquette University, Ragtime, You Can’t Take it With You, On the Razzle, Amahl and the Night Visitors and two TeenWrites projects at Milwaukee High School of the Arts. He occasionally works with adults and directed Hair and Jacques Brel is alive and well and living in Paris at Skylight, The Sum of Us and Complete Works of William Shakespeare, Abridged, Revised at Milwaukee Chamber Theatre and An Empty Plate in the Cafe du Grand Boufe and We Won’t Pay, We Won’t Pay! for the now defunct Bialystock and Bloom.